Unbeknownst to me, my girlfriend (@letlooseinmanchester) had planned a trip away to Copenhagen, Denmark over the Christmas holidays to join in with the Danish festivities. 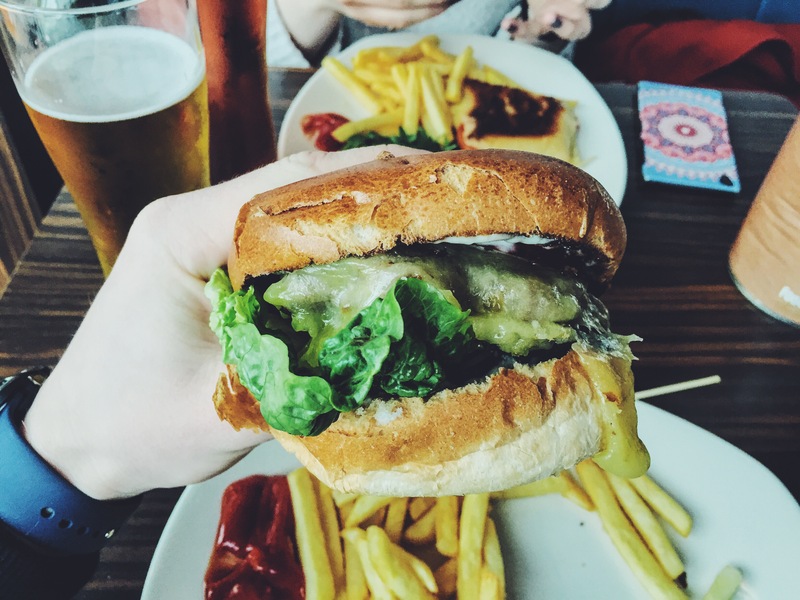 Feeling peckish and needing the obligatory first sip of alcohol in the airport before a holiday, we found Bar MCR which could offer a wide range of food and drink at airport prices. Picking our food came quite easy due to our hunger, I had chosen the classic ‘CHEESEBURGER’ it’s ingredients were as you could presume; a beef burger topped with mature cheddar. After the first gulp of the Spanish brewed beer San Miguel, with 30 minutes left until the Copenhagen gate closed, our food gloriously arrived. At first glance i noticed the bun had a hard outer shell which was actually very delicious, this wasn’t the only pleasing thing. I’m not sure if my reaction of being shocked while I took the first bite was down to myself not having high expectations for this establishment due to its location but I think the burger was very very nice. The beef was juicy, cooked just right. A little too much lettuce, let’s just say the chef was feeling generous and all the right sauces. An all round great burger. I give the Bar MCR cheeseburger an 8 out of 10.